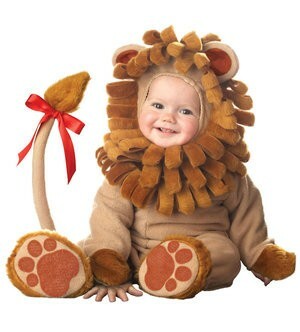 The Little Lion Costume for babies is made from the softest material. This is an elite range of baby costume. This costume will transform your bundle of joy into a real life toy. 1. A jumpsuit with an attached tail. 3. A lion mane headgear.